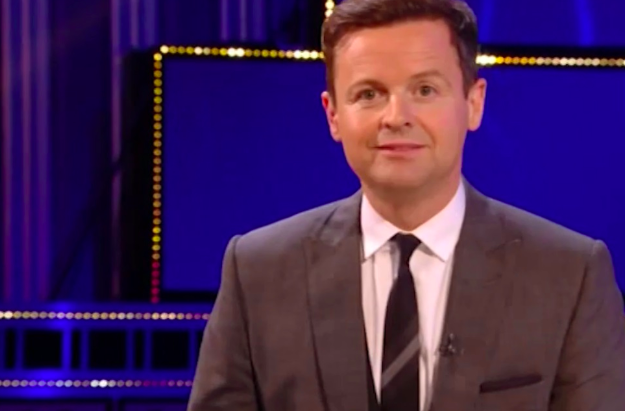 Presenter Declan Donnelly has been doing a smashing job recently hosting both Britain’s Got Talent and Saturday Night Takeaway without his co-host Anthony McPartlin. While Ant has stepped down from his television commitments after pleading guilty to drink-driving and entering rehab, Dec has had to take to the stage alone. While everyone is in agreement he’s been doing an amazing job, Dec is clearly feeling more confident as he made a brutal joke about the whole affair during last night’s Britain’s Got Talent. During the live semi-final of the popular show, Dec introduced jazz singing double act Dennis DeMillie and Marvin Muoneke to the stage. Standing next to the judges while welcoming the act, Dec appeared to allude to the fact he was without his usual sidekick Ant. First up tonight, we start with two men who are absolutely inseparable. They’re a double act everyone loved in the auditions and now they’re back together for semi-final week. Must be nice. Although Dec attempted to keep a straight face while delivering the punchline, he did let out a wry smile as judge David Walliams could be heard chuckling in the background. Viewers once again took to Twitter to applaud Dec after hosting the live Britain’s Got Talent shows on his own. Love how much naughtier Dec is on his own. It’s like he’s been left without adult supervision and all hell is breaking loose. Dec has done such an amazing job this week on Britain’s Got Talent. It’s almost made me forget he’s part of a double act! 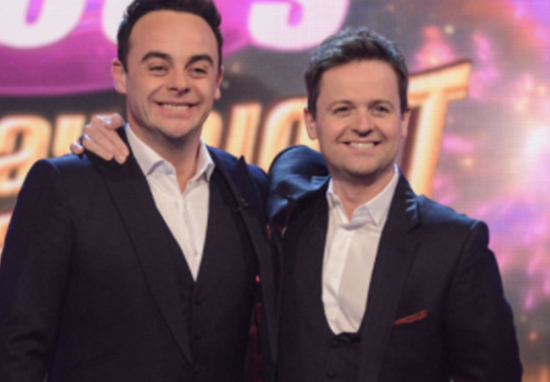 Dec has done such an amazing job this week on #britainsgottalent its almost made me forget he's part of a double act ? 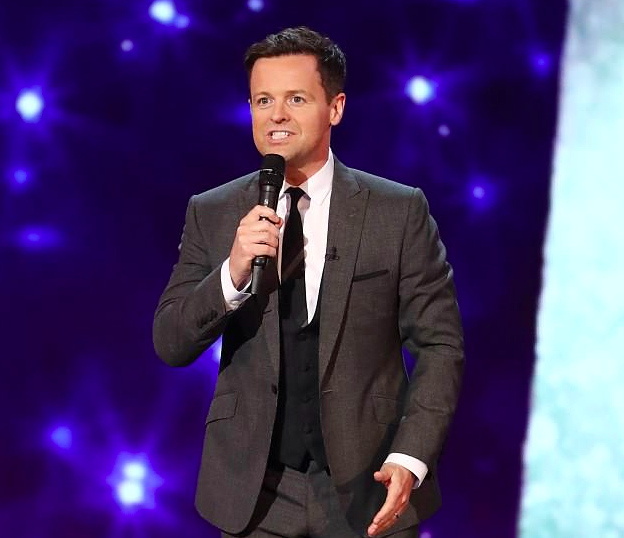 Congratulations Dec on presenting a week of Britain’s Got Talent semi-finals on your own. It must have been scary when you’ve had someone at the side of you. Good luck for the final! Ant meanwhile seems to be doing well in his recovery – he was recently photographed smiling after leaving rehab following a month of intensive treatment. Following his drink-driving car crash on March 18, the 42-year-old presenter checked into rehab looking tired and distraught. Only weeks later though, he was caught by paparazzi walking his dog in a London park. It was great to see him looking so well, and much more upbeat. In pictures taken after his accident Ant looked haunted. He hadn’t shaved and looked like he hadn’t slept much. But the Ant we saw this week could have been a different person. He looked healthier, brighter and had a big smile on his face. Ant will now be continuing his rehabilitation at home. We wish him all the best with his recovery and hopefully it won’t be long until he’s back at Dec’s side. The final of Britain’s Got Talent will be shown live on ITV on Sunday June 3 at 7.30pm.